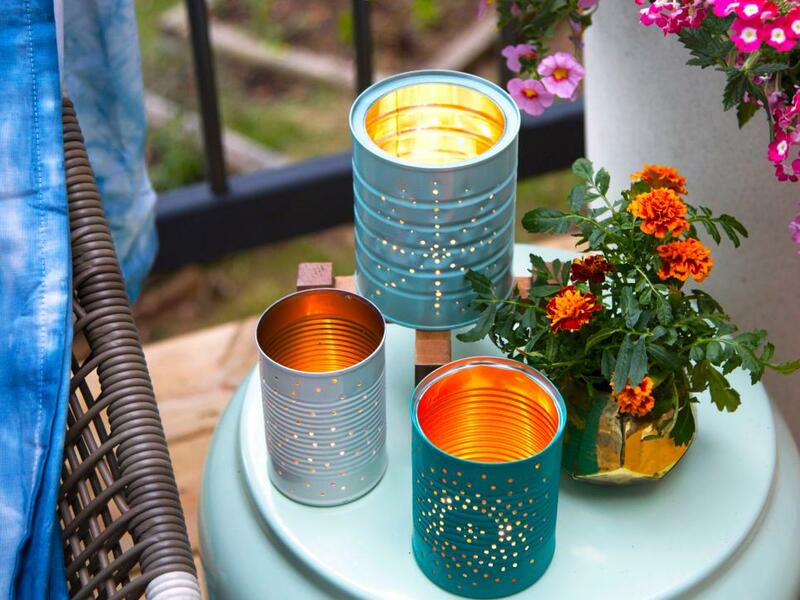 Light up the long summer nights with the help of these vintage-feeling lanterns. 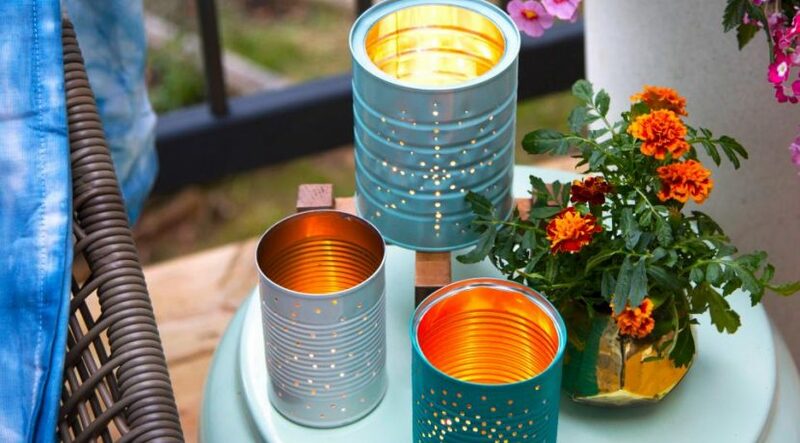 Not only is this a simple craft that packs a big design punch, but these lanterns can be created for next to nothing as well, which makes them that much more appealing. Create a shiny copper garden feature while simultaneously ridding yourself of those slime-slinging slugs. For an added bonus, it will only cost a few pennies to make! Paint drips have never looked so pretty. Bring a fresh new look to any outdoor space by sprucing up all those plain pots that are just lying around. Don’t let a rainy day keep you down. Create this outdoor craft easily in one afternoon, and reap the rain chain benefits all season long. Turn those boring lawn chairs into poppin’ conversation pieces. This DIY will help you take your chairs from normal to outrageously cute in an afternoon. Simple water features don’t have to break the time or money bank. Enhance a deck’s, porch’s or backyard’s relaxation potential with this unique DIY. Need a unique way to display your house number? This terra-cotta tower should do the trick. A few hours and some old terra-cotta pots will completely rejuvenate the look of your porch.